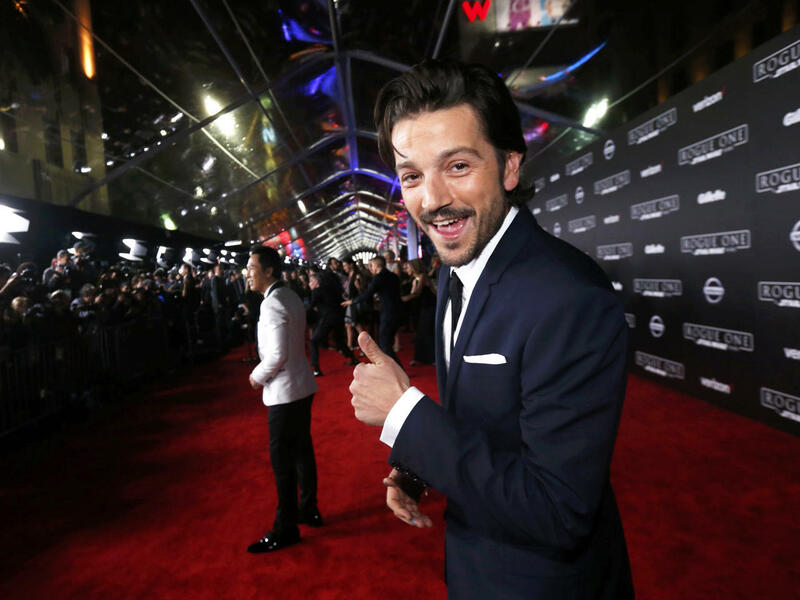 Diego Luna is set to star in a new "Star Wars" TV series for Disney's upcoming streaming service, Disney+. He will reprise his role as Cassian Andor, the spy who helped Jyn Erso steal Death Star plans in "Rogue One: A Star Wars Story." The upcoming show will focus on Andor during the formative years of the Rebellion, before the events of "Rogue One." Luna said in a statement, "Going back to the 'Star Wars' universe is very special for me. I have so many memories of the great work we did together and the relationships I made throughout the journey. We have a fantastic adventure ahead of us, and this new exciting format will give us the chance to explore this character more deeply." Review: "Rogue One: A Star Wars Story"
Disney describes the show as a "rousing spy thriller" that "will explore tales filled with espionage and daring missions to restore hope to a galaxy in the grip of a ruthless Empire." The series does not yet have a release date, but production will begin in 2019. Disney's streaming service is expected to launch late next year. Last summer, the company ended a deal to distribute its movies on Netflix and announced it will be creating a separate streaming service with exclusive rights for Disney animated and live-action movies, including "Star Wars" content. The "Rogue One" prequel is not the only "Star Wars" series coming to Disney+. Jon Favreau is set to write and executive produce another series called "The Mandalorian," which will focus on the adventures of a "lone gunfighter." That show is set after the fall of the Empire and before the emergence of the First Order. Disney is hoping to compete with services like Netflix and Hulu with Disney+.